« National Library Week – Why Libraries? 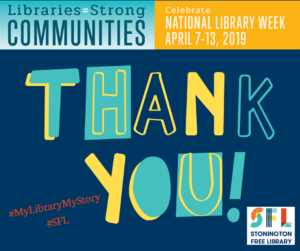 Thank you for celebrating National Library Week with us! We hope you were able to hear and share great stories about our library this week. Please consider making a donation to support our library.